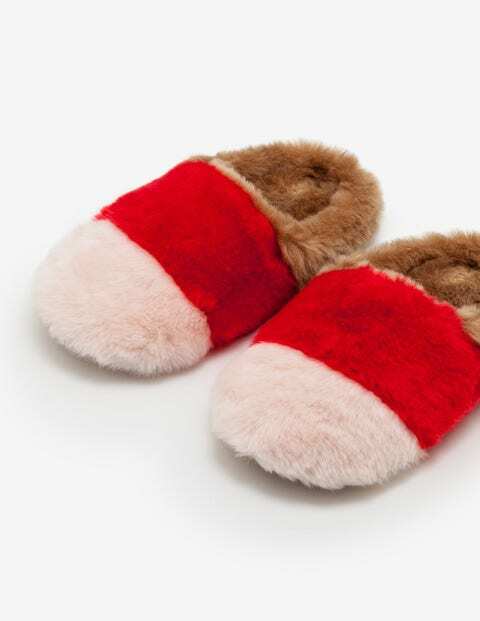 Treat your feet to the luxury they deserve with our indulgently cosy slippers. When it's time to kick off those heels, this comfortable pair will give you that instant 'ahhh' feeling with their soft, faux fur – and thanks to the colour-blocked design, they're super stylish too. After all, you never know who might appear on your doorstep.